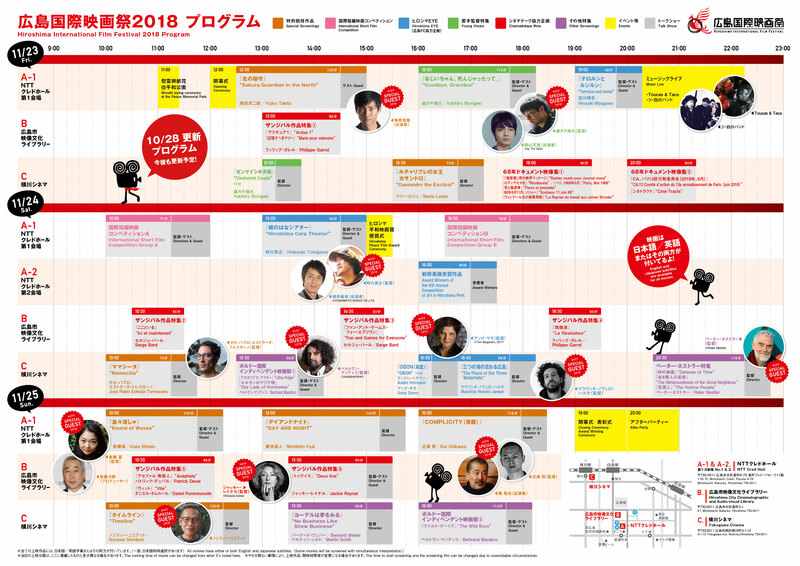 The program of Hiroshima International Film Festival is up! The program of Hiroshima International Film Festival is now available as show below. Many films from France, Switzerland, Mexico, Germany and Thailand, and so on. Download it now and plan your schedule! ※The running time of movie can be changed from what it's noted here. The time to start screening and the screening film can be changed due to unavoidable circumstances.